Espece :Chrysanthemum macrocarpum Coss. et Kral. ssp. eu-macrocarpum var. genuinum M.
Espece :Chrysanthemum macrotum (Dur.) Ball. ssp. eu-macrotum (M.) Q. et S.
Synonyme :Coleostephus macrotus Dur., Glossoppapus macrotus (Dur.) Briq. Espece :Chrysanthemum maresii Batt. var. typicum M.
Synonyme :Leucanthemum maresii (Coss.) 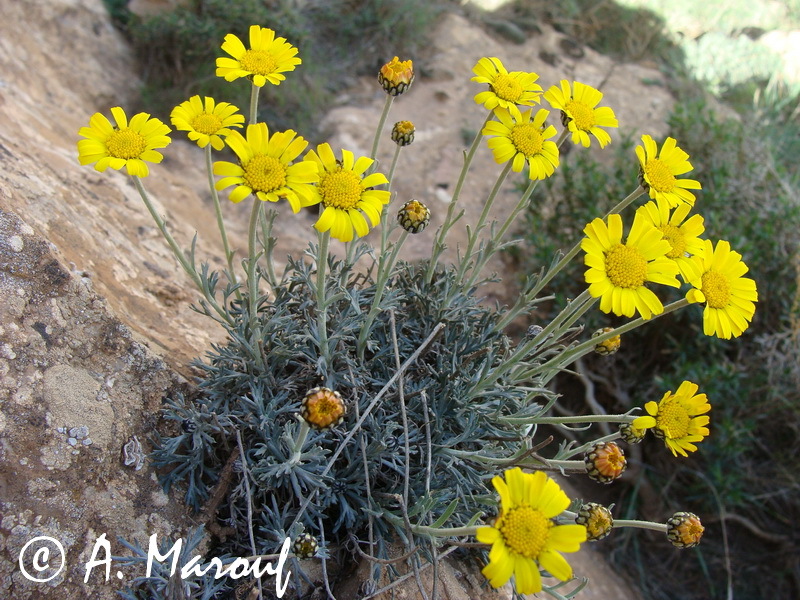 M., Pyrethrum maresii Coss. Synonyme :Kremeria multicaulis (Desf.) M.
Synonyme :Kremeria myconia (L.) M., Myconia myconis Briq. Synonyme :Leucanthemum glabrum B. et R., L. paludosum (Poiret) Bonnet et Barr. Espece :Chrysanthemum paludosum Poiret ssp. decipiens (Pomel) Q. et S.
Synonyme :Leucanthemum decipiens L., L. glabrum B. et R. ssp. decipiens (Pomel) Batt. Espece :Chrysanthemum paludosum Poiret ssp. glabrum (M.) Q. et S.
Espece :Chrysanthemum parthenium (L.) Pers. Synonyme :Matricaria parthenium, Tanacetum parthenium (L.) Sch. Bip. Chrysanthemum trifurcatum Batt. non Desf. 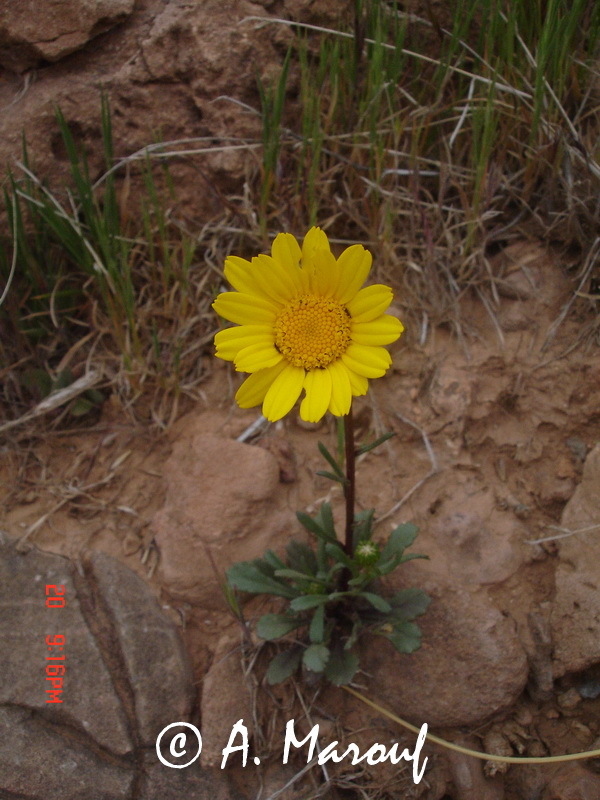 Voir: C. deserticolum B. et T.
Espece :Chrysanthemum trifurcatum Desf. B. et T. non Batt. var. macrocephalum (Viv.) Berg. Espece :Chrysanthemum viscido-hirtum (Schott) Thell. Chrysanthemum viscosum Desf. Voir: C. viscido-hirtum (Schott) Thell. Chrysocoma linosyris L. Voir: Aster linosyris (L.) Bernh. Chrysocoma spicata Forsk. Voir: Ifloga spicata (Forsk.) Sch. Bip. Espece :Chrysopogon aucheri (Boiss.) var. chrysopus (Coss.) M. et W.
Synonyme :Microcala filiformis Hoffm. et Link. 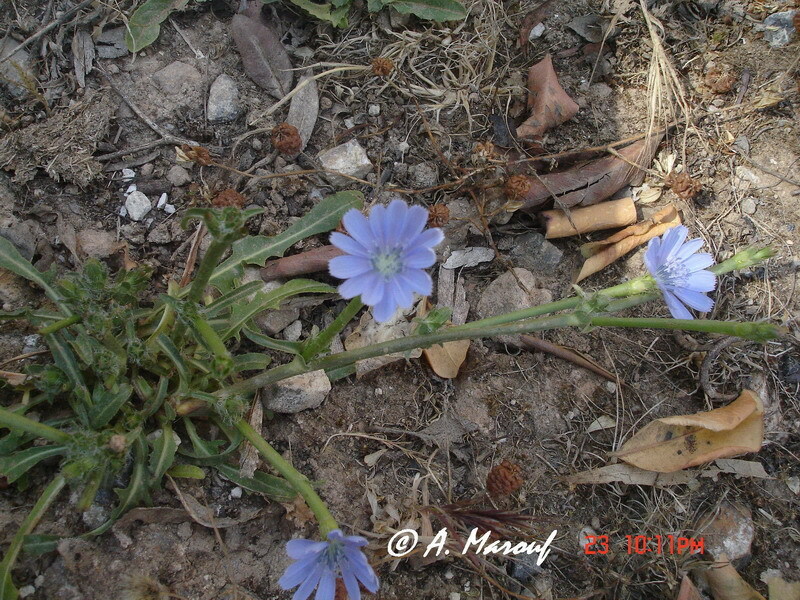 Espece :Cichorium intybus L. ssp. 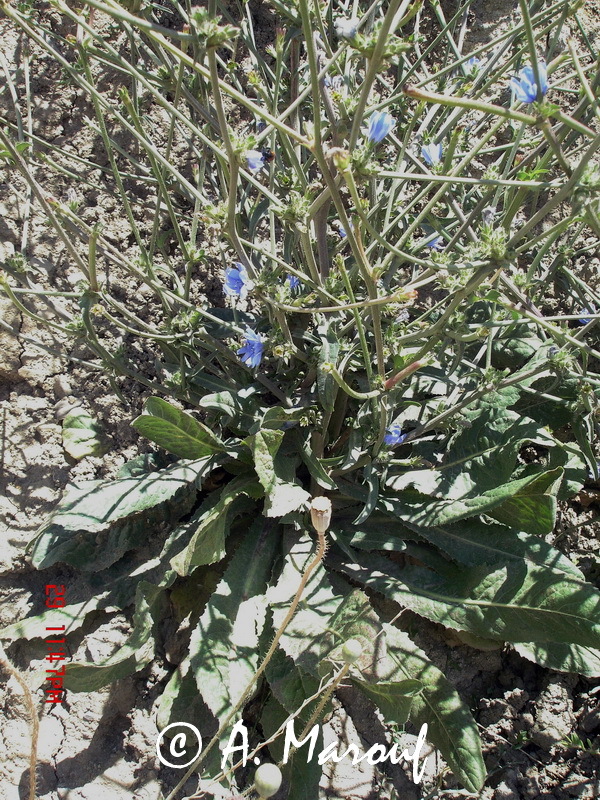 eu-intybus L.
Espece :Cichorium intybus L. ssp. pumilum (Jacq.) Ball. 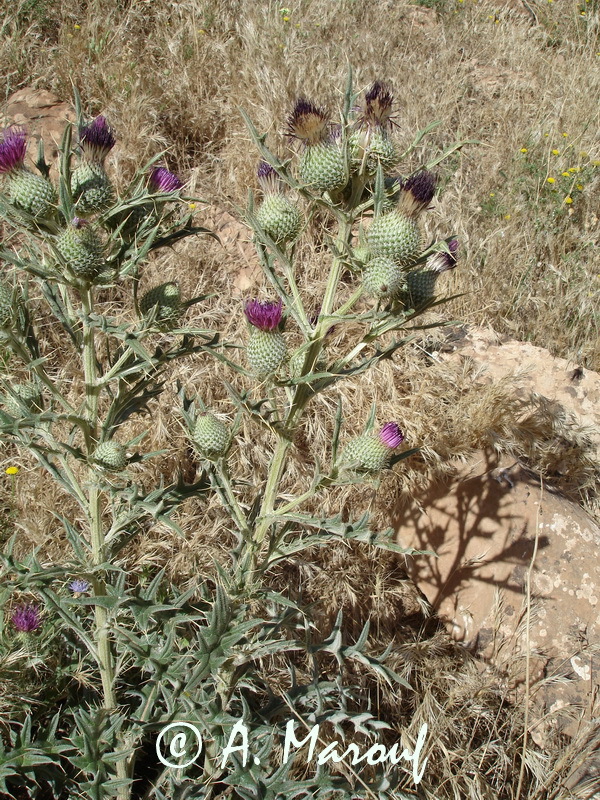 Espece :Cirsium casanonae (L.) DC. ssp. trispinosum (Moench) M.
Espece :Cirsium echinatum (Desf.) DC. 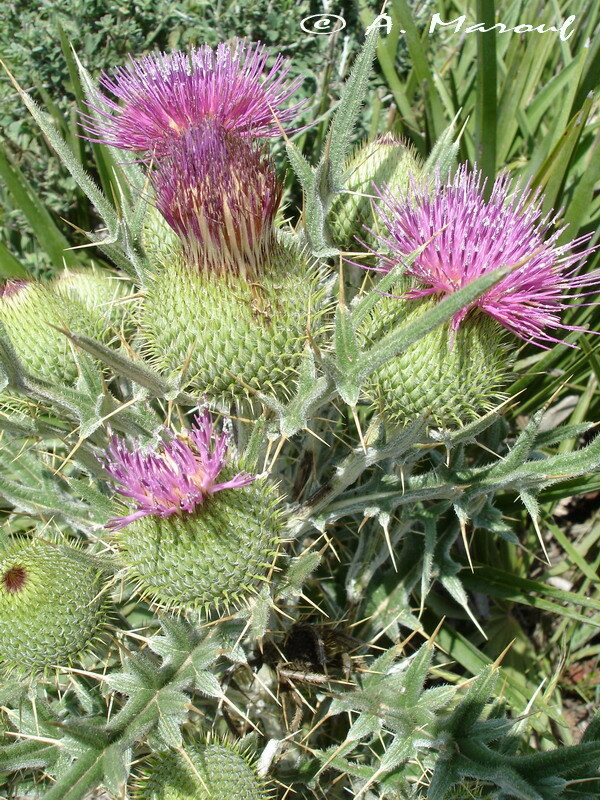 Espece :Cirsium echinatum (Desf.) DC. var. echinatum (Desf.) Q. et S.
Espece :Cirsium echinatum (Desf.) DC. var. willkomminianum (Porta et Rigo) M.
Synonyme :C. willkomminianum Porta et Rigo. Cirsium giganteum Desf. 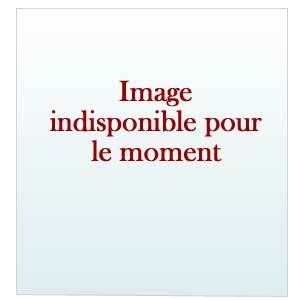 Voir: C. scabrum (Poiret) Dur. et Barr.